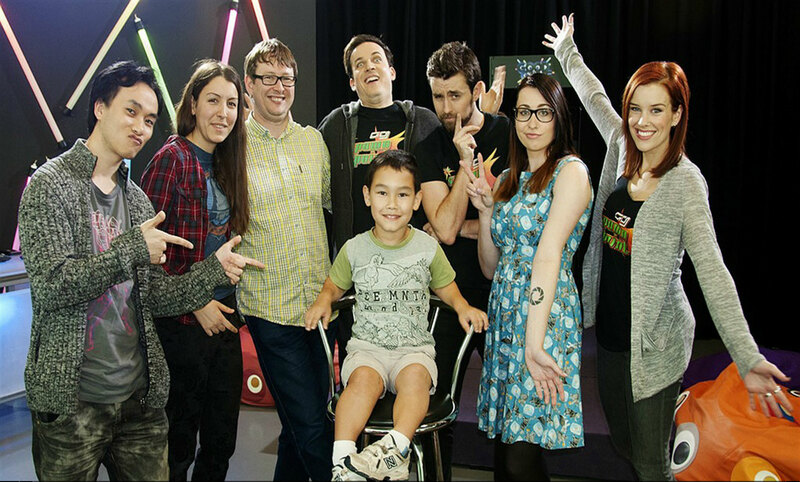 I (Carlton) got invited (out of no where) to be interviewed for a live 30min show for a kids show on ABC! The biggest question was ….. How? And i asked the producer Mark Oxbrow, who invited me. 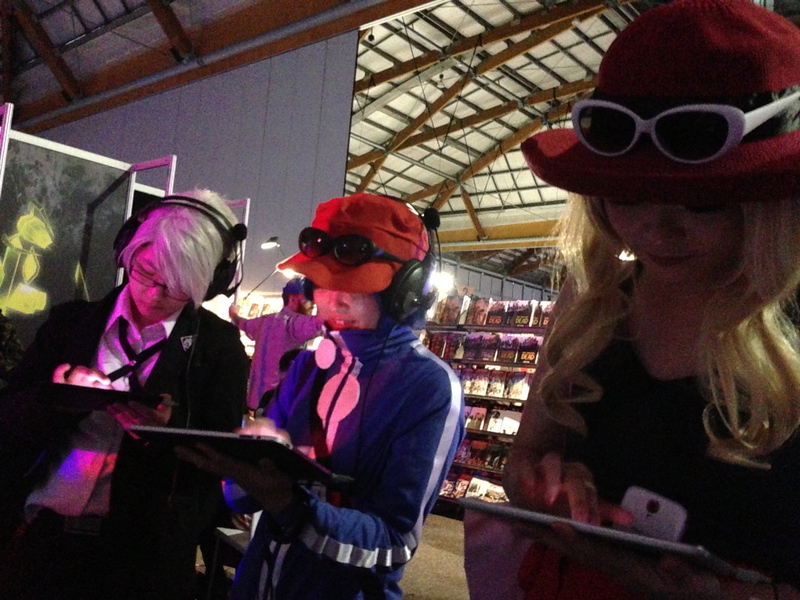 Apparently, our appearance back at EB-Expo 2013, and our media exposure back then there led to one of ABC’s producers to be able find us while scouring the internetz! 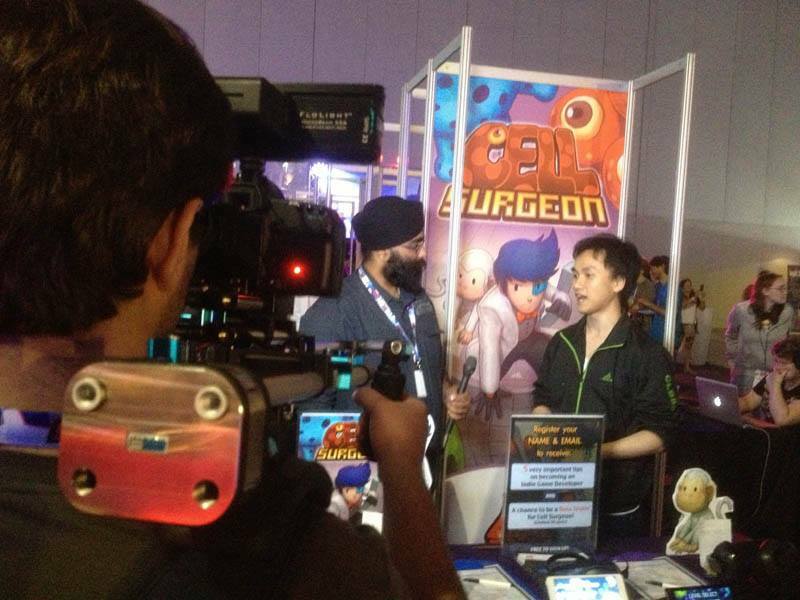 “You’re a game developer, we saw your video interview during EB-Expo, and saw that you can talk quite confidently in front a camera…. which is great!” said Mark. So I got in early 10am, in which they sat me down for makeup! Where i sit on a chair with alot of lightbulbs on the mirror…..just like in the movies! 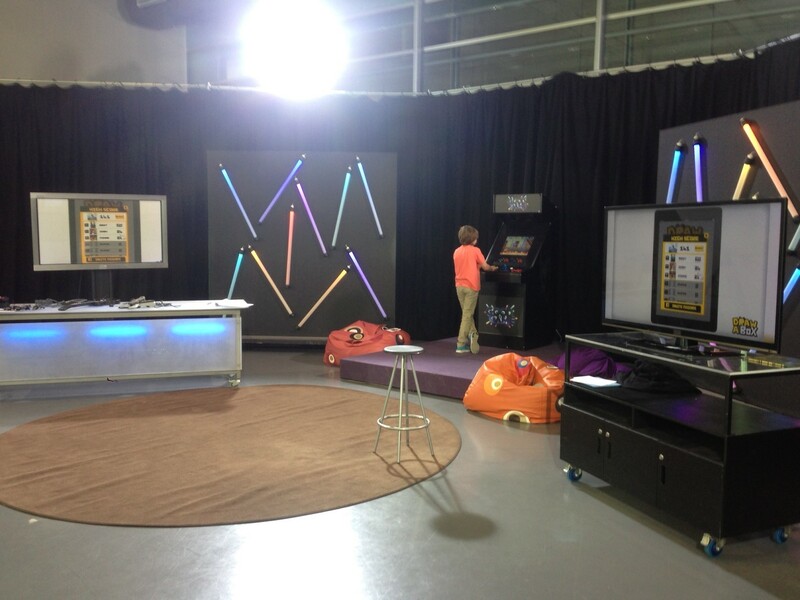 And from there on it was just rehearsals and setup until 2pm before the LIVE show kicked off. 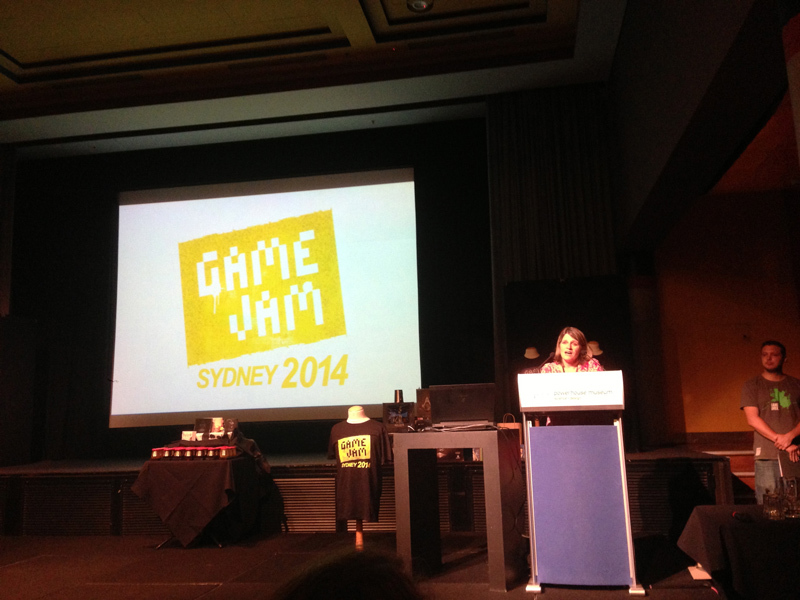 Rebecca Fernandez our head of IGDA Sydney was there, although she was stationed at the level above us. 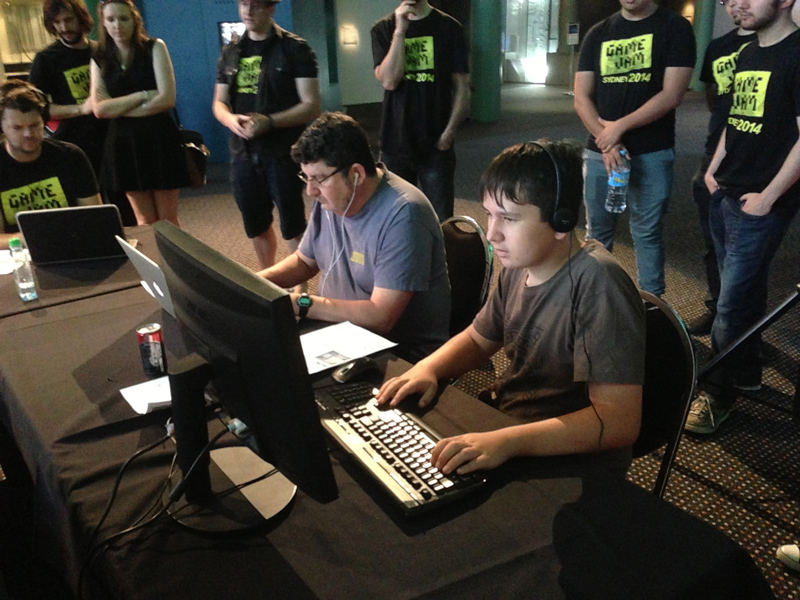 And got to meet Julian, the 12 year old game developer prodigy! 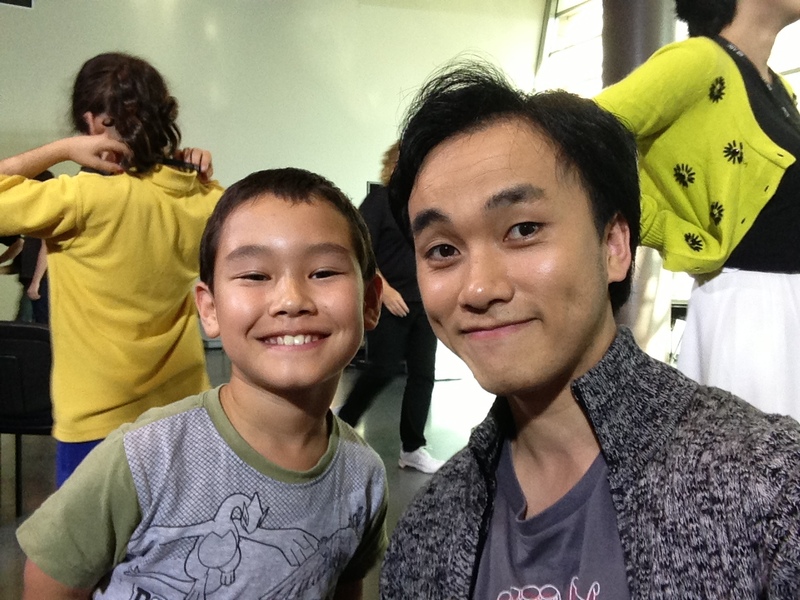 I saw him on TV last year, couldnt believe i get meet him! And coolest thing was all was getting to get interviewed by Bajo and Hex, who i pretty much watch quite often on TV (along with most gamers). It was quite an honour! The show was executed with like 4-5 camera crew, lighting, sound, directors, producers, managers, wranglers and a really large and professional team! The room was quite packed! There was at least 15-20 people off camera making sure everything went smoothly because it was LIVE! But otherwise, it was a really fun and great experience, got to meet really great people, and feeling really privileged to have been asked to be apart of this! LESSON: Its just goes to show the decisions /actions / performance that we make in the past will make an impact to our future. Yet another set of purchases to add to the “expenditures” to indie games development. I record all the purchases so that hopefully it can give an idea to people interested in becoming making games, what can they expect in spending once they are in the business, and an estimate of the CAPITAL needed. So we moved over from GoDaddy to WordPress, due to better Blogging capabilities! Personally, i could have developed the website myself (in which i already did half), i decided that i might as well just BUY a pre-made theme thats similar to what i wanted. At this stage when you really want to prep your game for release, you really dont want to be bogged down on developing a webpage from scratch, and saving time is worth MORE than saving money! 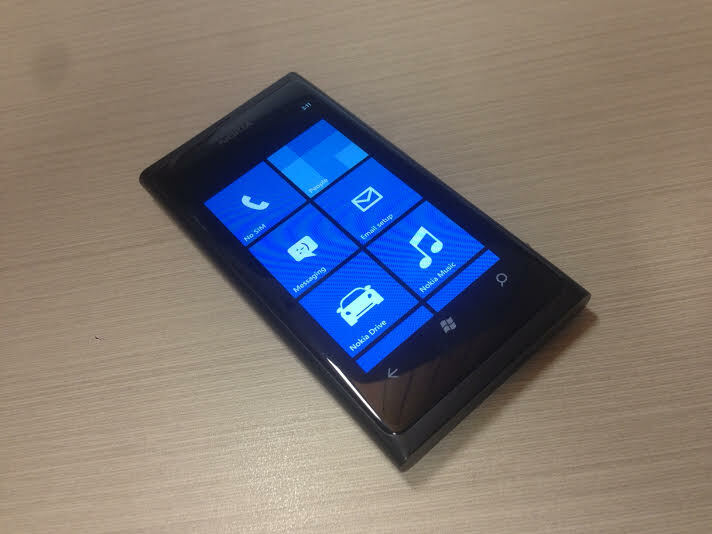 Its very common for people to be biased towards a certain phone (Android / IOS), but when it comes to a business, its important that your GAME can reach as many audiences as possible, even on Windows Phone!I bought a Lumia 800 off Ebay (second hand) for $85. RRP goes for about $160. Personally ive never used a Windows Phone before, or any slightest clue how the operating system works, let alone trying to putting our game onto it. I thought we’d give it a go since Draw A Box is coming close to release. 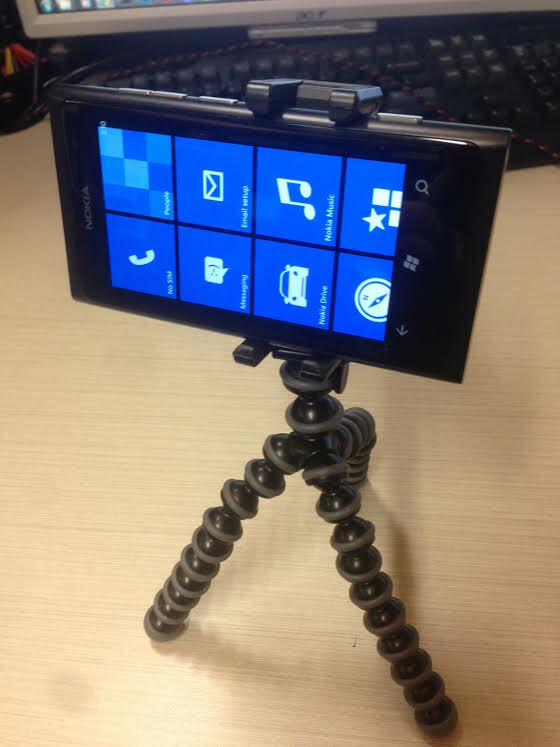 Plus its good learning experience anyway to see what a windows phone is like, and once we figure it out, we can start publishing all our apps onto Windows phones!An additional portal means additional reach, and from our previous experience when we bought our Android tablets… it also means you activate the media attention of the people who write about Windows Phone Apps! 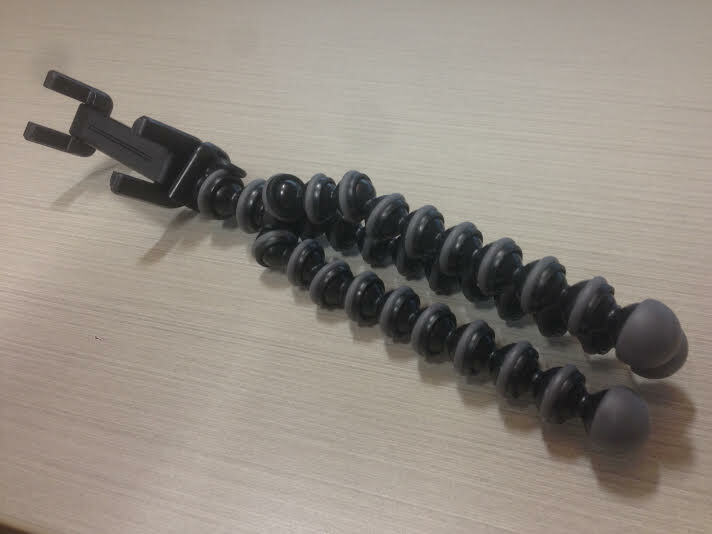 I bought a Gorilla Pod (for mobile) on Ebay for $45. (More expensive than i thought! ).With the launch of our first game coming soon (Draw a Box), theres one thing that we havent been focusing on, and that is VIDEO content! There has been many times where I’ve wanted to record development videos, but do not have the tripod / props to record it on a nice angle (since im usually alone when i do it, so theres no additional hand helping out. Ive once used 2 chairs to clamp a broom, and then use tongs to clamp my Iphone onto the broom, in order to create a home made tripod. 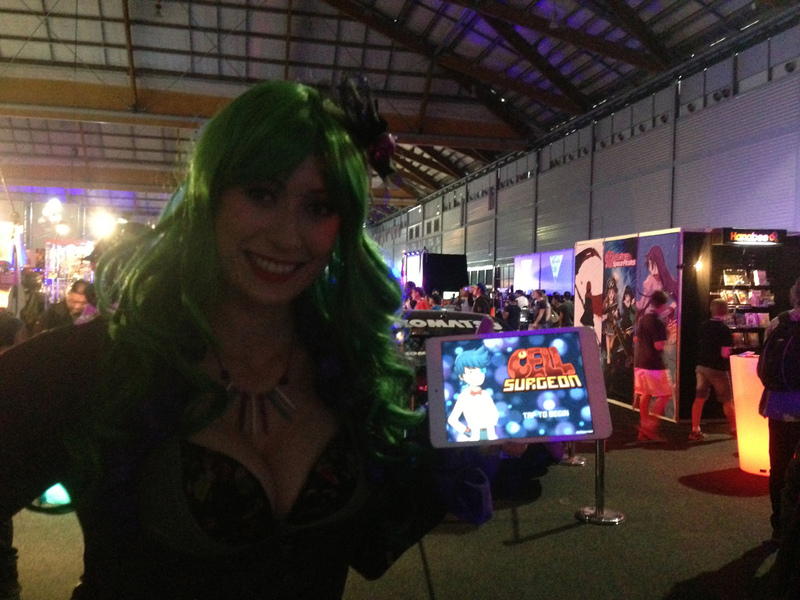 I was quite proud of that rig actually :). But its not every day that there is a broom nearby. So theres another $325 investment into things not directly related to games development, and with no direct feedback with results, but hopefully will be something that will create a positive affect to the journey from the now, and make its impact to the business sometime soon! I hope this adds some insight as to why you need “CAPITAL”, and where it gets spent on! 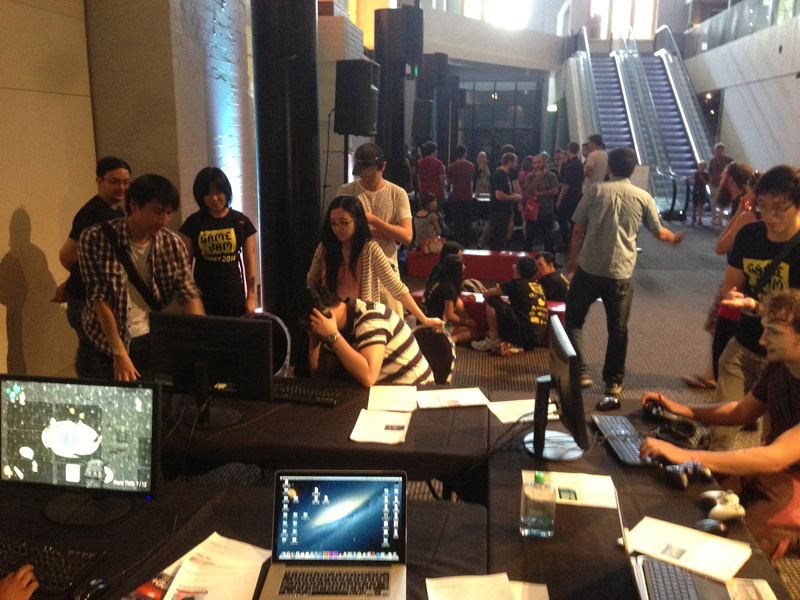 All GGJ2014 sydney games were showcased at the PowerHouse Museum the week after it was completed. It was opened up to the public for play-testing and feedback, but more so that they can just recognise what we do and achieved, and that we got some potential public / media attention. During this one week downtime, we had the chance to fix up alot of bugs, plus giving a good polish phase to the game in terms of sound design, aesthetics in UI/UX and misc gameplay improvements. 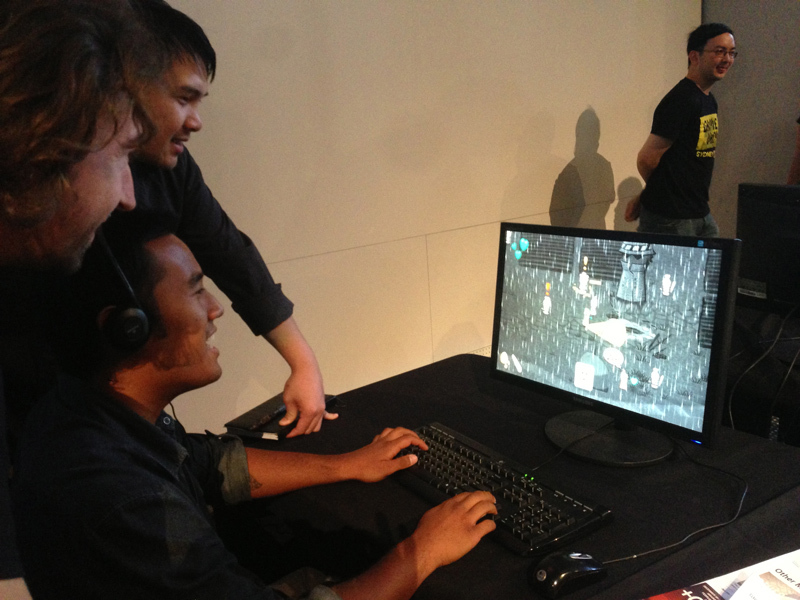 We setup “Stranded” on the day for the public to test out, and overall the feedback was very positive! 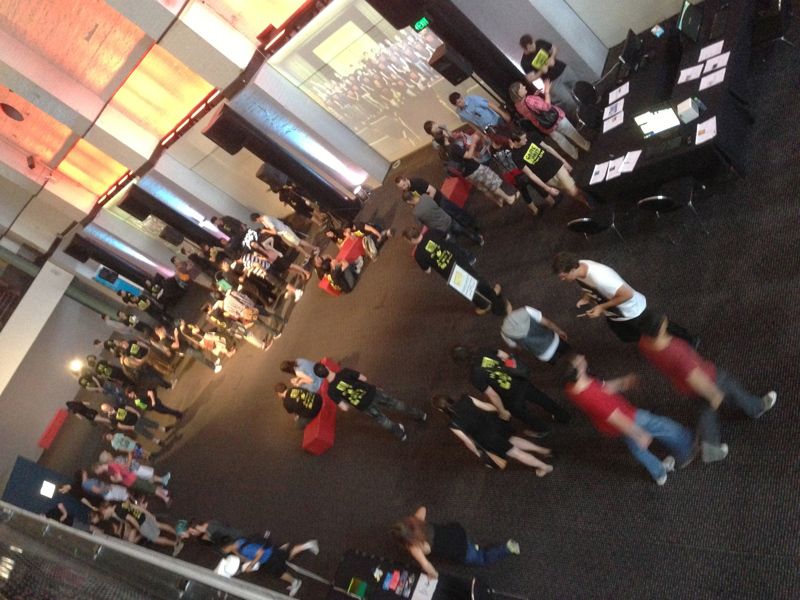 Everyone really liked (the new and improved version of) the game!…. as it felt more complete and tweaked for better gameplay experience. 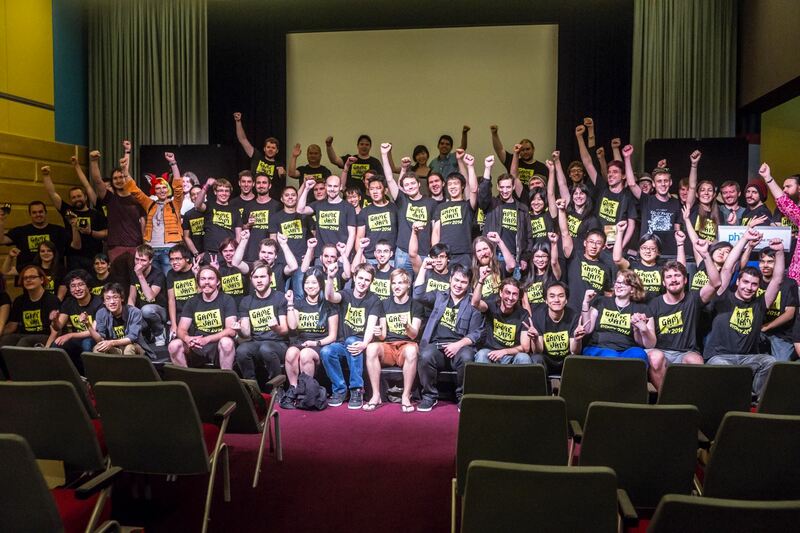 Still… being my second time at Game Jam, my experience from my first GGJ back in 2012 has greatly helped me improve on how GGJ2014 turned out… and how to better work amongst the team. I didnt really join GGJ to compete, but rather to pit my Unity skills that i have acquired since starting 1.5 years ago….. to see how i fair at making games. And Im really happy with how we finalised Stranded, in its final polished and the most perfect form it can be. 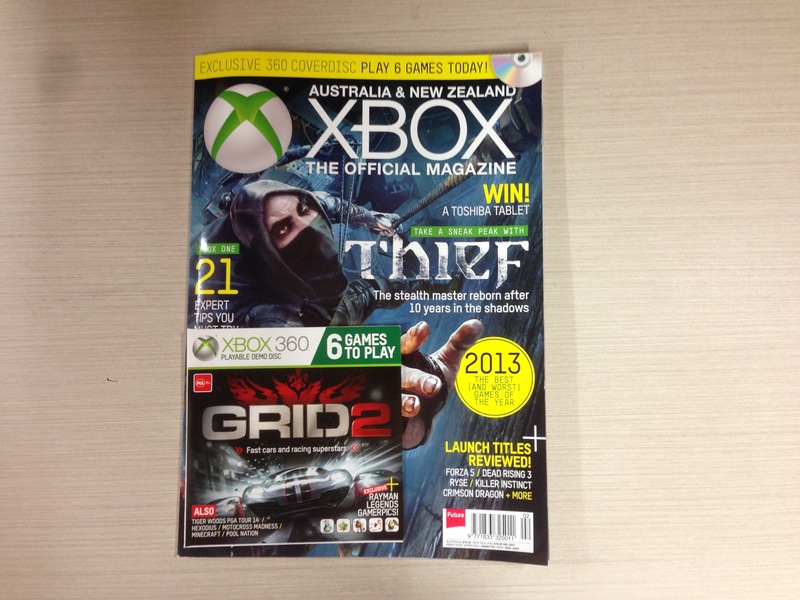 Having been a gamer since young, and having been reading alot of ‘gaming magazines’ whilst growing up, last thing you’d ever expect would be that one day, you too would be somewhere within these magazines! 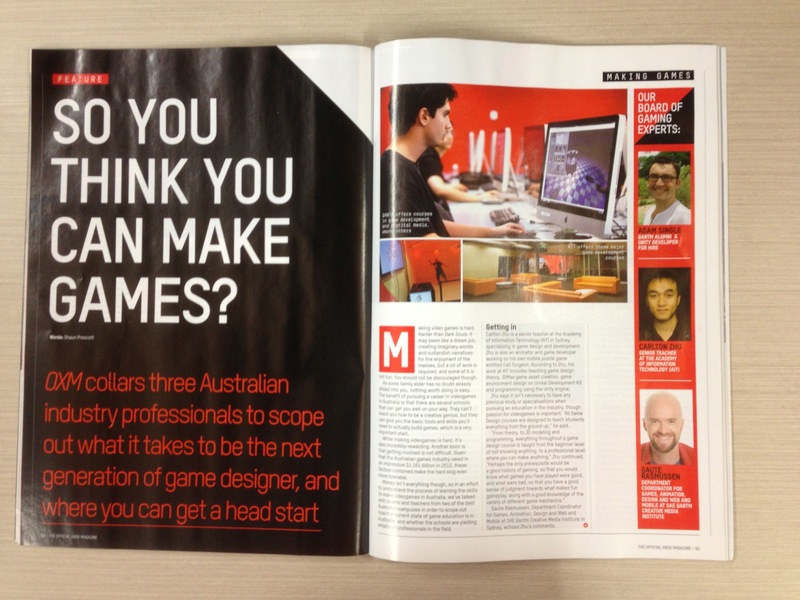 Ive been very privileged to have been referred to by a work colleague as being a “game developer”… and Ive gotten interviewed by Xbox magazine and got featured on one of their issues! (Actually, it wasnt much of an interview….. they just give you a batch of questions via email… and then you reply to those questions back via email: and voila….. its printed into the article)! Still… having started this journey 2 years ago… this marks a good milestone nevertheless as a sign of heading in the right direction! At this stage, this is to me… not a thing to be bragging about, nor be happy about being famous or anything. Its more like a small reward that helps validate our efforts in having spent all those weekends grinding on our games… whilst unhappily watching facebook friends enjoy life at the beaches / social events. And that this one magazine will hopefully play a crucial part in sustaining us for more lonely weekends to come..
A week before EB-Expo… we were told that there is a booth available at the Indie Section of EB-Expo up for grabs if we want it. That left us with a choice. Dont take it… because we have nothing prepped for it. No posters, no banners, no business cards, game is buggy, no plan… plus i had full time work, so not enough time to prepare. Take it…. and you have a week to create posters, banners, business cards, fix bugs, have a plan.. AND develop the game further into a build worthy of showing to the general public, whilst also working full time! Its exactly like back in college or Uni. When an assessment deadline is due… you become super human efficient in order to get it done. Its amazingly powerful! What you’d think you would be unable to achieve…. once you hold yourself accountable… you push yourself beyond limits. WIth that… i accepted the offer… and i spent the entire week grinding on material needed to setup a cool booth in time for EB-Expo. And it turned out quite well! 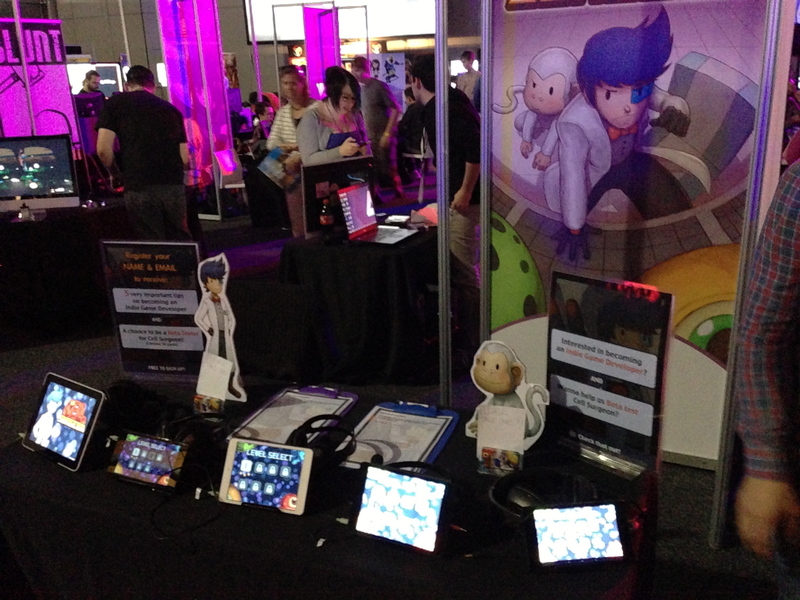 We had a cool banner setup, had 5 tablets setup by scabbing from friends and family. More busines cards, more signs and displays and new posters and cool character cutouts etc. It was something thats “displayable” to EB-Expo standards at least. 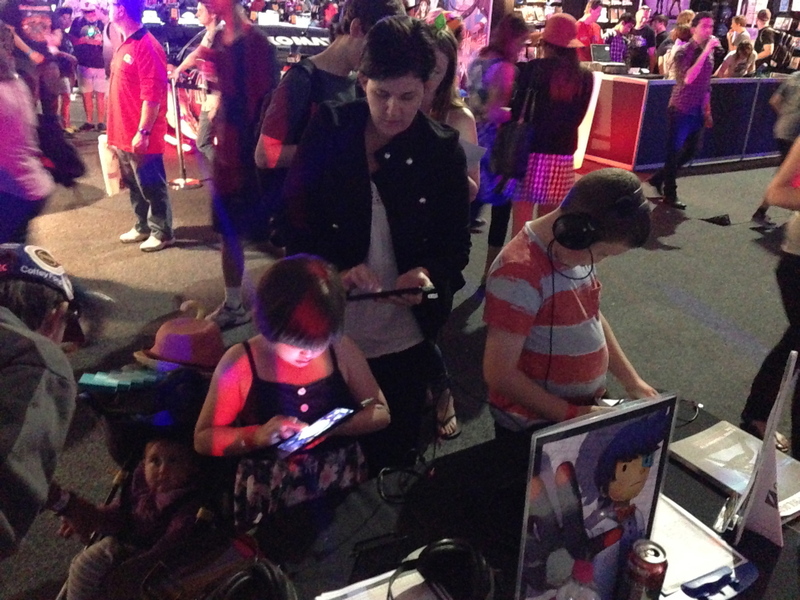 It was really cool to see various audiences play the game, ranging from males, females, kids, dads, mums, cosplayers etc! 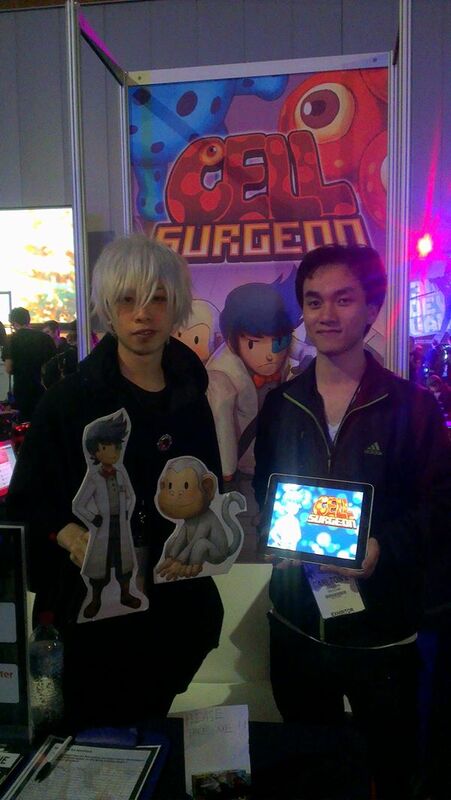 It was very validating to see them engaged and interested in playing Cell Surgeon and the 6 levels that was available! Gotten really valuable feedback that influenced alot of design choices that ill need to apply in the future. I even implemented changes on the fly with bug fixing and gameplay tweaking while exhibiting! By the end of the expo…. 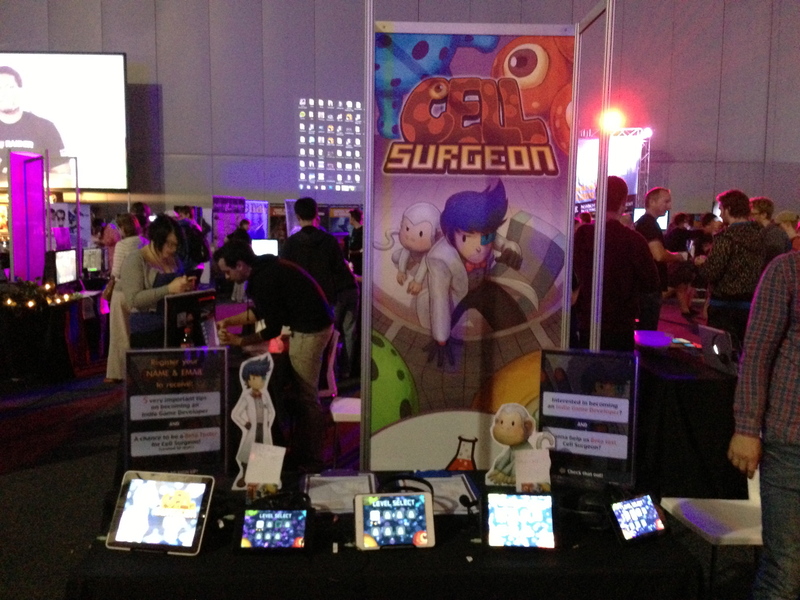 Cell Surgeon was so tweaked….. that majority of players were able to play and be engaged throughout all six levels… without putting the device down. 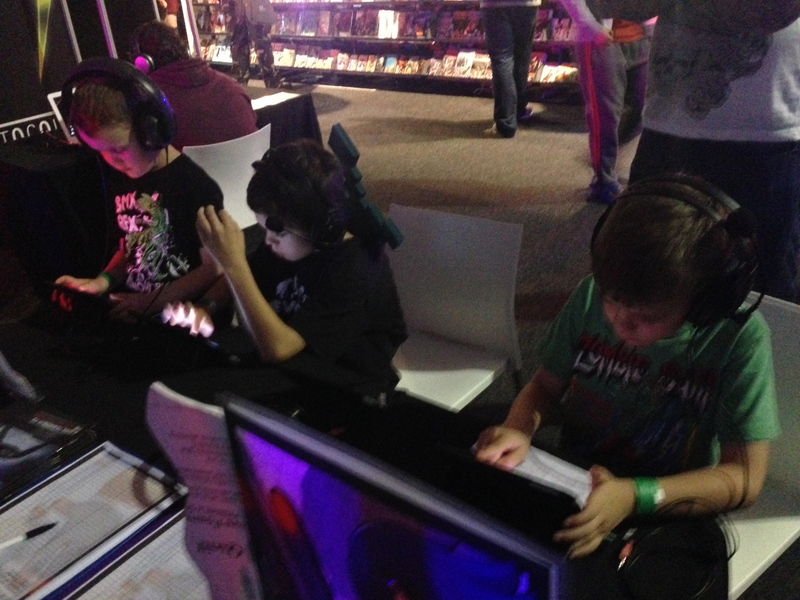 Fortunately Ryan (our artist) was also able to come help out, along with many friends that we both snuck in, to share the task load of exhibiting the game, giving everyone a chance to explore the actual EB expo looking at other peoples games. Unfortunately, Pierre (our composer) could not make it , due to being away on holidays overseas. Us 3 have never actually sat down all together before, and would have been nice to have had a group photo of the full 3 members of the team! 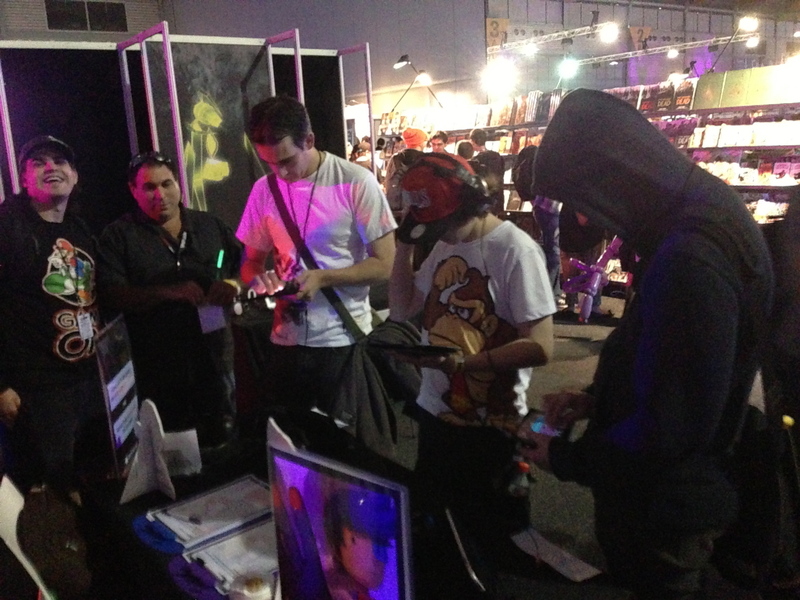 However, because we “grew some balls”, we walked away with much more exposure for ourselves, many people signed up with their emails, loads of valuable feedback and validation from literally all kinds of audiences, expo experience points, met alot of new friendly devs and overall a memorable experience. And this blog’s purpose is to hopefully inspire others to say “YES” to when opportunity comes your way, whereas it is so tempting / comfortable / safer to have just say “NO”.